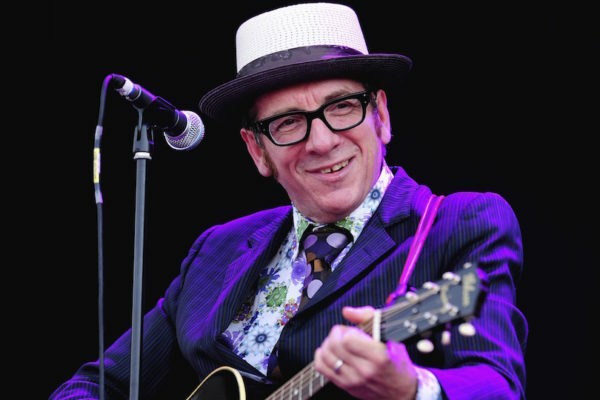 There are few artists with a catalog as impressive and eclectic as Elvis Costello. Although he was labelled by some a punk rocker and by others a New Waver when he burst upon the scene in the late ‘70s, he was far too restless and inventive to be hemmed in by any particular genre. He’s branched out into country, jazz, classical, and even hip-hop over his storied career. Because he never was much of a smash on the pop charts, especially in America, many casual fans might not know every last stylistic detour he has taken. This list could have gone much deeper, with fantastic yet relatively-unheralded tracks by Costello, but, for now, ten will have to suffice. My Aim Is True, Costello’s debut album, was a revelation upon its release in 1976, one of the rare albums in rock in which an artist comes right out of the gate seemingly fully in control of his artistic powers and sound. On this track, producer Nick Lowe provides a little Phil Spector sheen to an unflinching look at a relationship that has lost its luster. Great one-liners abound, as Costello was already the master by that point of the telling pun and the withering putdown. By 1978, Costello had hooked up with the Attractions, a band whose colorful, forceful backing was absolutely in tune with his songwriting approach. On this B-side to the classic single “Radio, Radio,” the band nails the quiet-loud dynamics while Costello pulls a particularly stinging set of lyrics out of the bag. “She’s almost human beneath that Cuban heel,” he sings, managing a telling character sketch of both the girl the line describes and the guy trying to control her. In the early ‘80s, Costello’s singles were generally regarded with a shrug even in the UK. As a result, his albums from that time, including 1982’s brilliant Imperial Bedroom, went somewhat overlooked by everyone but the critics. Embracing the most ornate production of his career, the album also includes some of his most unabashedly personal confessions. This open-hearted plea for love is a crazy quilt of sounds that are held together by the urgency of Costello’s vocal. This B-side to the 1987 single “Blue Chair” was actually recorded during the sessions for 1985’s King of America. That was an album where Costello mostly left behind the Attractions for a rootsy sound conjured by session pros. He had dabbled in country-style weepers now and again on his earlier albums, but this one puts most of the Nashville output from that time to shame with its winning wordplay and nimble melody. The result is a toe-tapper that’s absolutely gutting. Spike generated Costello’s most press and best commercial success in years, largely because of his high-profile collaboration with Paul McCartney on a couple songs, including the hit “Veronica.” The album itself is one of the widest-ranging in his career, veering from hard rock n’ roll to vaudevillian show tunes in the blink of an eye. This album track is all black humor and bleak portent, but its quirky mix of instruments and Costello’s heartfelt vocal manage to evoke bittersweet beauty. It’s never a good idea to get on the bad side of a talented songwriter; they’ll always have the last, and best, word. So learned Bruce Thomas, the former Attractions bassist, who wrote a book in 1990 that disparaged a singer that was clearly modeled after Costello. Elvis’ revenge was swift and vicious, coming in the form of this diatribe on 1991’s Mighty Like a Rose. It’s one of rock’s finest “dis” tracks; even as the reasons for the anger fade into history, the potency of it resurfaces every time this track is cued up. Costello has made a kind of sideline career out of writing ad hoc material for music legends in need of great material; Solomon Burke, Roy Orbison, and George Jones are just a few who have benefitted from his talent. This track was originally given to Roger McGuinn, who cut a fine version on his solo album Back From Rio. Costello took it back a few years later for All This Useless Beauty, where the Attractions, in their last album together, gave this flawless, Byrdsian gem a great spin. Not only is this one of his best unheralded songs, this moody beauty is one of Costello’s songs finest tracks overall. 2002’s When I Was Cruel was advertised as a return to rock for him, but, in truth, the songs, like this electronica-tinged number, kept sneaking into harder-to-define territory. The mesmerizing musical backing sits behind some of Costello’s stinging commentary, as he surveys a society wedding from the bandstand with disgust while nodding to the past perception of him as an angry young man. On North, Costello tried his hand at writing jazz torch songs and handled it with his usual expertise. 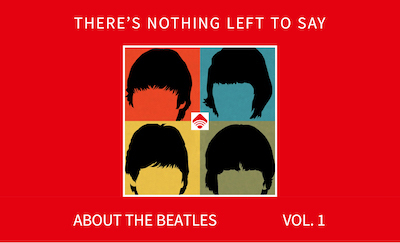 The album didn’t make much of a dent, which is too bad, if only because this lovely song has been underheard. The descending piano chords set us up for a tale of heartbreak and woe, and that’s mostly what Costello delivers. But the final lines (“There I go/Beginning to fall”) could suggest that the narrator is once again subjecting himself to the fickle whims of love. Costello has always been willing to collaborate with artists that might seem a bit removed from his rock n’ roll wheelhouse. His 2013 joint effort with The Roots, which might have seemed like the most bizarre collaboration to some, resulted in the album Wise Up Ghost, which was one of the finest released that year. This track, built on a sample of the Costello song “Satellite,” with Questlove’s snappy beat and some drowsy horns layered on top to accompany harrowing lyrics, is a particular highlight. PS. A look at Elvis Costello’s most intriguing collaboration with Paul McCartney. And take a deep-dive into his music with a recent book. Bruce Thomas wasn’t critical of Elvis at all in his book The Big Wheel, which features only a few allusive references to “the singer”. I think the anger in How To Be Dumb originates from another source. Correct. Bruce fed the idea that his book was the reason for the rift because it helped him sell books. The rift to my understanding was personality based but fueled by an incident between EC and Steve Nieve. I would add two little hitters to the list. Radio Sweetheart and Five Gears In Reverse!! About two dozen songs would be better choices than these. Just for example, Opportunity, Almost Blue, New Lace Sleeves. Oh, and How To Be Dumb is not only a cheap shot at The Attractions bassist, it’s a dreadful song. “Get Yourself Another Fool” from Out of Our Idiot should be on this list. Shhhhh! I may have used parts of some of these songs for ….. inspiration for some of mine! So many great tracks to pick from during the “King of America” era. I especially love “The People’s Limousine”–his collaboration with T-Bone Burnett, and King of Confidence”. “American Without Tears (Twilight Version)” from the Out of our Idiot compilation is another hidden gem. “Charm School”, “Pills & Soap”, and “The Sweetest Thing” from the overlooked “Punch the Clock”, and “Distorted Angel” and “Complicated Shadows” from “All This Useless Beauty”, “Broken” from “Mighty Like A Rose” is great too. But I’d definitely agree with “Tiny Steps” and “When I Was Cruel No. 2”.